Arts Visalia is proud to host the annual Visalia Art League Members Exhibition, featuring artworks in a variety of media by local artists. The Visalia Art League is an educational and philanthropic organization open to amateur and professional artists, as well as non-artists who are lovers and patrons of the arts. The Art League hosts workshops and lectures by local and regional artists as well as regularly organizing chartered bus trips to major art museums. 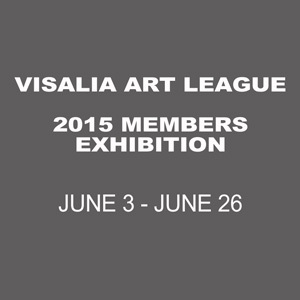 The Visalia Art League Members Exhibition will be on display at Arts Visalia from June 3rd through June 26th with an opening reception to be held Friday, June 5th from 6:00 to 8:00pm. Admission is free and open to the public.